The chance to make leftover brisket tacos is one of the main reasons I smoke a brisket in the first place. 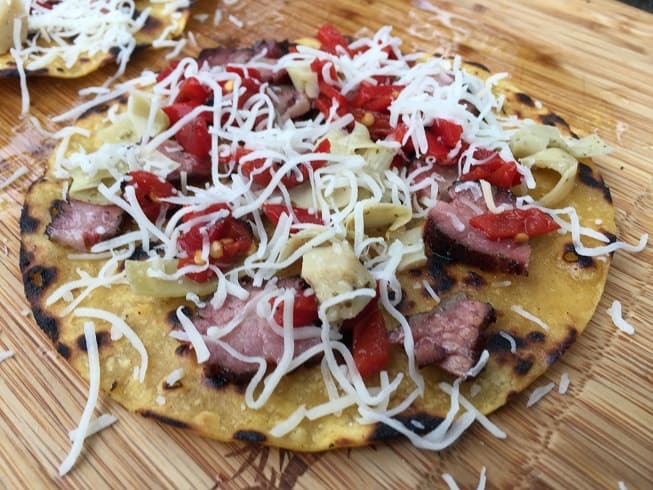 The combination of smoked beef with corn tortillas is simply magical. There are about 10,000 ways of making tacos…here is how I made these. Brush both sides of a corn tortilla with olive oil. 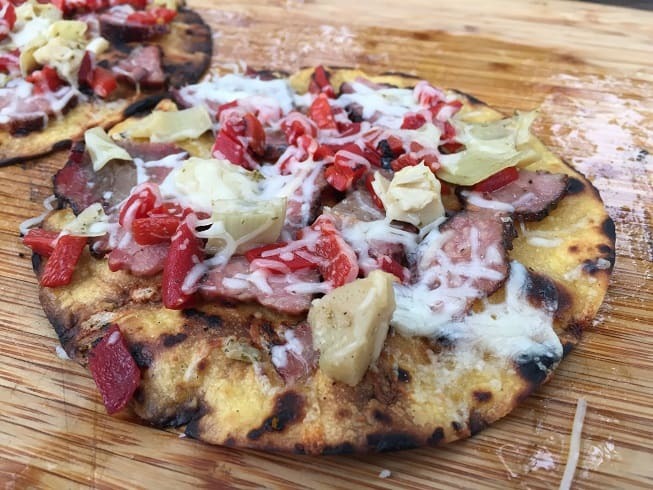 Top the toasted tortilla with leftover brisket, roasted red pepper, marinated artichoke hearts and cheese. Place the tortilla with topping back onto direct heat until the cheese has melted. You can do this is a 450F oven or on a grill. 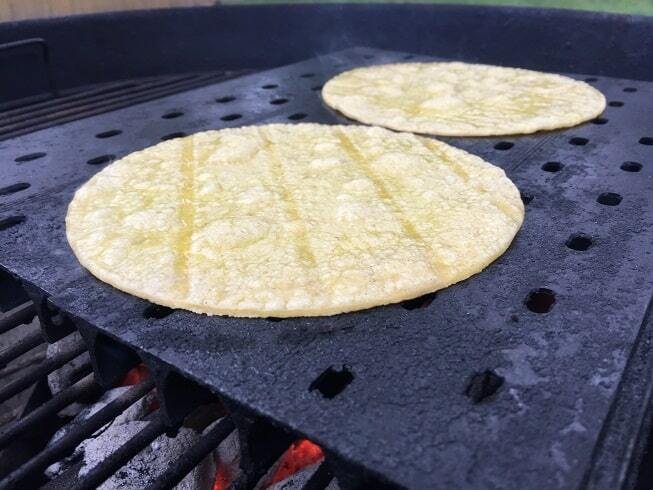 I was working with a charcoal grill and used a set of GrillGrate panels to keep the tortilla from burning. I can toast two tortillas at a time with this set up. 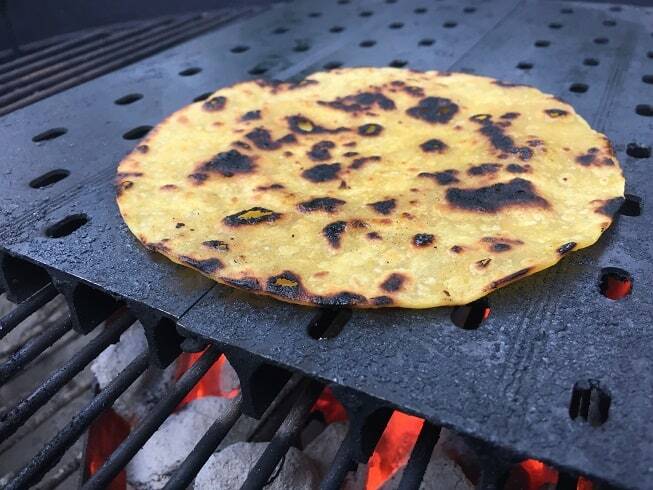 Using a charcoal grill with the lid open lets you monitor the tortilla and get just the right amount of toasting. You will know it is time to flip with the olive oil on the top of the tortilla starts bubbling! As far as toppings go the world is the limit. You could put down a base of barbecue sauce first if you wanted and there would be nothing wrong with throwing on some blue cheese. 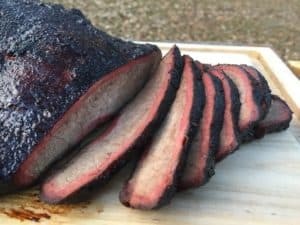 If you wanted to reinforce the original flavor profile you could hit this with a sprinkling of the brisket rub you originally used when smoking the meat. 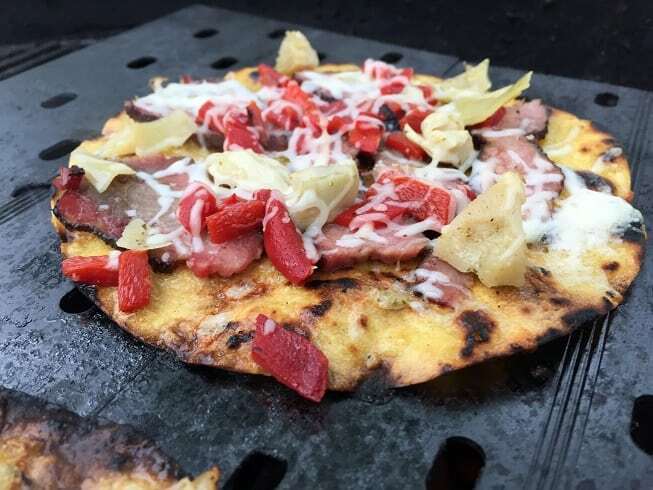 When the tortilla goes back onto the grill make sure you put the lid on the grill to help the cheese melt. 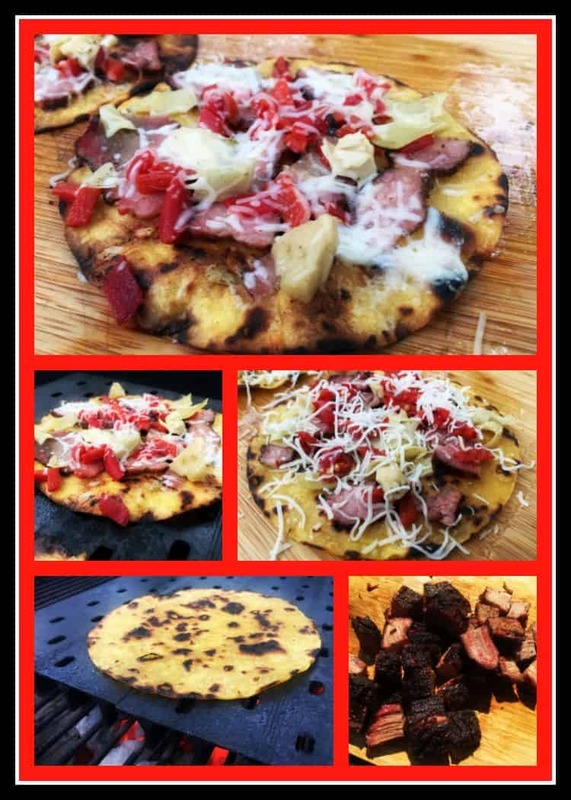 Some folks might want to call this brisket mini pizza but there is no way that a combination of a corn tortilla and smoked brisket will ever be anything except a taco. You could make these leftover brisket tacos with flour tortillas but they would not be as good and your dog would probably bite you.